MANAMA, Jan. 6, 2015 - Bahraini anti-government protesters clash with policemen in Bilad Al Qadeem, a suburb of Manama, Bahrain, Jan. 5, 2015. 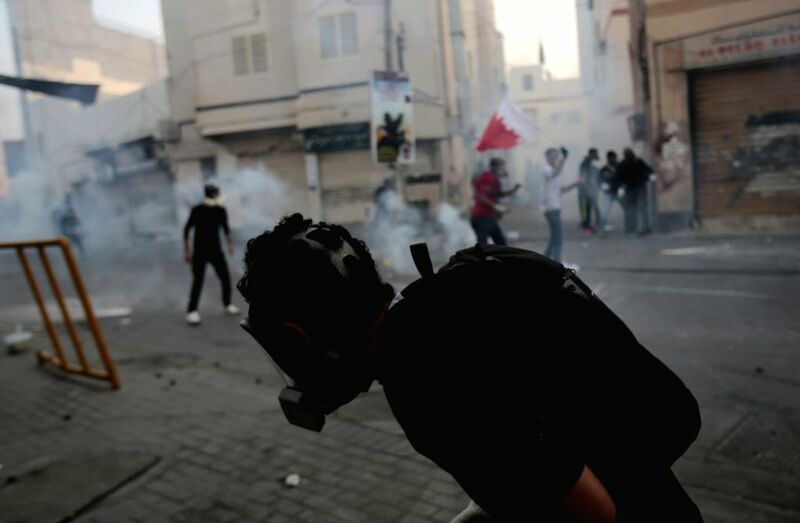 Protesters demanded to free Jailed Bahraini Shiite opposition leader Sheik Ali Salman. Sheik Ali Salman was ordered held for 15 more days pending investigations into charges of law violation, Bahrain's High Prosecution announced on Monday.